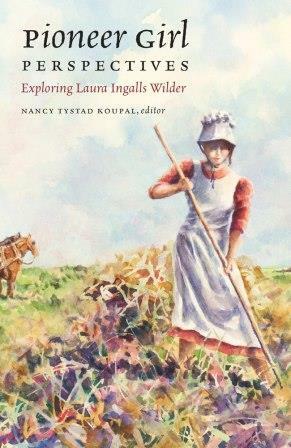 The History and Heritage Book Club will celebrate the release of a new book about Laura Ingalls Wilder by hosting editor Nancy Tystad Koupal and author Paula M. Nelson at its May gathering at 7 p.m. CDT on Tuesday, May 23. The event is free to the public and will be held at both the Cultural Heritage Center in Pierre and the De Smet Middle School via the Digital Dakota Network. “Pioneer Girl Perspectives: Exploring Laura Ingalls Wilder” is a stand-alone sourcebook about Wilder’s life and legacy as well as a companion volume to Wilder’s autobiography, “Pioneer Girl: The Annotated Autobiography.” Both books are published by the South Dakota Historical Society Press. “Pioneer Girl Perspectives” will be available to the public on Thursday, May 18. With “Pioneer Girl Perspectives,” Koupal brought together 11 writers from across the country, including Nelson, to comment on the career of one of America’s most iconic authors. Topics include the collaboration of Wilder and her daughter and editor Rose Wilder Lane, how Wilder’s writings shaped our view of the frontier, the author’s lasting place in children’s literature and more. Koupal, editor of “Pioneer Girl Perspectives” and director of the Pioneer Girl Project and South Dakota Historical Society Press, will speak on location in Pierre. She has more than 30 years of editorial experience, and she is a board member of the Laura Ingalls Wilder Memorial Society in De Smet. Nelson is professor emeritus in the Department of History at the University of Wisconsin—Platteville, where she taught for 26 years. Her research interests include agricultural settlement in the Great Plains and upper Midwest, rural life and culture, rural women’s history and small towns. Her essay in “Pioneer Girl Perspectives” is “Women’s Place: Family, Home, and Farm,” which looks at Wilder as a farm woman and professional writer for the “Missouri Ruralist,” as well as the ideas she held on various subjects of the time, including women’s suffrage. Nelson is joining the program via the DDN. People at both the Cultural Heritage Center and the De Smet Middle School will be able to see, hear and talk to her. “Pioneer Girl” and “Pioneer Girl Perspectives” are on sale at the Heritage Stores in the Cultural Heritage Center and the Capitol. They can also be purchased online at www.sdhsf.org. Individuals and groups in communities outside of Pierre and De Smet are welcome to join via the DDN or by telephone. Please call (605) 773-6006 for more information.